The amount the tow vehicle may weigh when fully loaded, or gross vehicle weight rating (GVWR). Weight a vehicle can tow. This figure may vary depending on the vehicle’s equipment, such as a manual or automatic transmission and whether the vehicle is equipped with four-wheel drive. 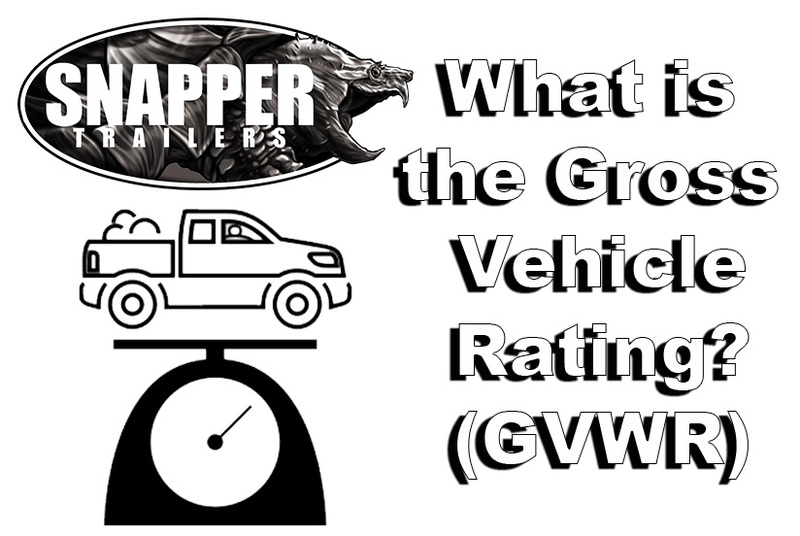 The permissible combined weight of the tow vehicle, trailer, passengers, equipment, fuel, etc., that the vehicle can handle, or gross combination weight rating (GCWR). The weight of a single axle can carry, or gross axle weight rating (GAWR). Load your trailer heavier in front. 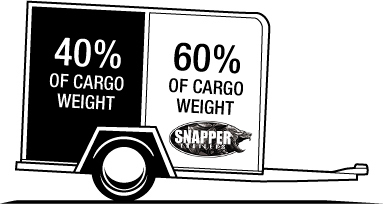 The trailer should have about 60% of the cargo weight in front and 40% in the back (See Graphic). 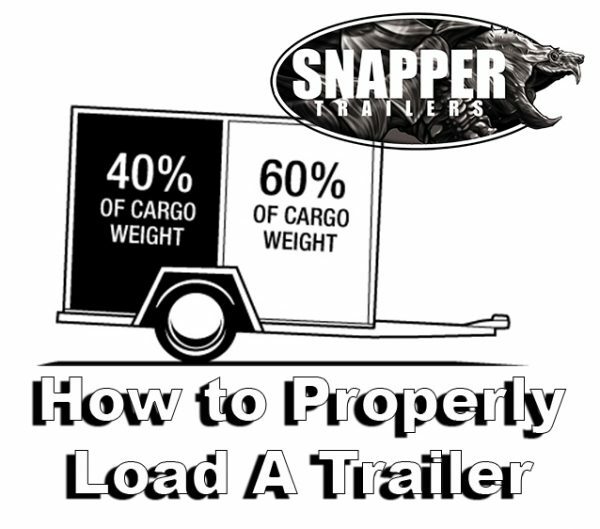 Secure your load to the trailer using ropes or tie downs to ensure the cargo doesn’t shift. Previous: Don’t Forget About Your Trailer Brakes!